84-year-old Mark Taimanov gave an interview to the Russian site, Smena. He talks about the recent WC Match in Sofia and gives his opinion of how the current players compare to the former Champions. 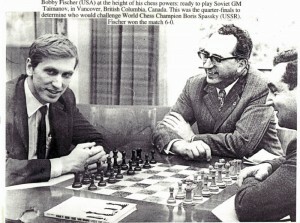 In general, in terms of sporting struggle and content it fulfilled all the hopes that fans of chess artistry had. It was a conflict between the Classicism of Anand and the Romanticism of Topalov. It was particularly heartening that the fate of the title was decided in classical games and not in rapid or blitz, where a lot depends on chance. Of course it wasn’t without mistakes from both sides, but blunders are absolutely inevitable under such pressure. And overall it lived up to expectations – the match was played at quite a high level. 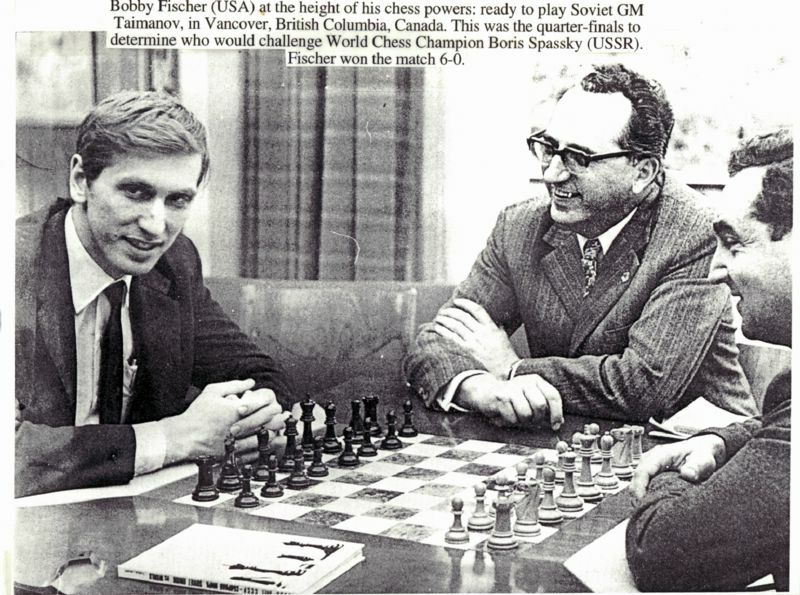 Was it really as high as the legendary encounters between Anatoly Karpov and Gary Kasparov? I don’t want to offend the players in this match, but here we saw a struggle among chess players, while in the Karpov-Kasparov confrontation we witnessed a battle of personalities. Differing in world view, temperament… The interests of Topalov and Anand are focussed on chess – they have no achievements or even a desire for achievements beyond the board, in contrast to the great players from Steinitz to Kasparov. Moreover, in spite of their total concentration on chess the current leaders have in no way surpassed their predecessors in their play, and in fact seem to be inferior. This is the first time in many decades that a Russian or Soviet player hasn’t taken part in the World Championship match. Why? Because the hegemony of our chess players is no more. It faded away. I think that computers have played a levelling role, switching the emphasis from creativity to sport and at the same time removing the old advantage of the Soviet School. In addition, the social importance of chess in our country has noticeably decreased. I’m sure that even a month ago, before the current match, the majority of Russians would have struggled to name the chess world champion. Before, something like that was hard to imagine. Is there really not a single Russian capable of competing for the title? What about Vladimir Kramnik? Perhaps Vladimir has ambitious plans to regain the title, but it’ll be oh so difficult to do. For Kramnik and Svidler and other players of his generation the peak of their achievements is, alas, behind them. You need to count on 20-year-olds, but among them I don’t see any potential world champions. Sergey Karjakin, who became a Russian citizen, and the St. Petersburg Evgeny Alekseev and Nikita Vitiugov are undoubtedly good players, but the epithets “outstanding” or “genius” can’t be applied to them. As a translator’s note… it’s hard to agree with the comment about Karpov and Kasparov. Apart from the political situation surrounding them, what exactly had they done outside of chess!? But maybe Taimanov was really thinking of himself – he also had a musical career, discussed in an interview at Chessbase. brilliant as usual – thanks for this amazing website…I came to this website after reading your plug on mig’s blog. agreed, this is an awesome site. Thanks Misha! Truly the best site on the Internet. Keep up the good work. An absolutely fascinating interview. Thank you very much.